Diner en Blanc originated in France nearly 30 years ago and the tradition of high society picnics has traveled all the way from Paris to Philadelphia. 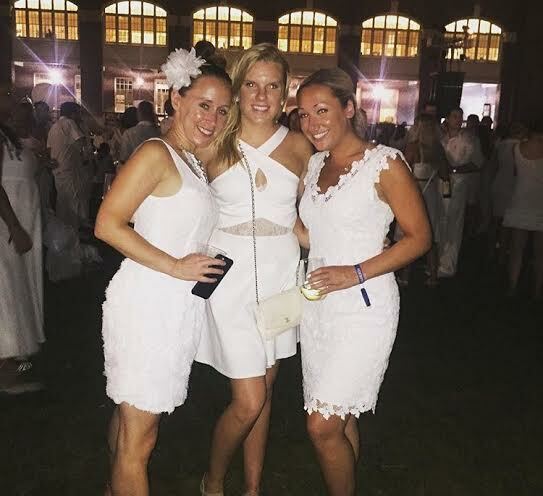 Diner en Blanc takes place every summer in Philadelphia. The event channels the elegance and glamour of French society. At the last minute, the secret location is revealed. Guests, dressed in white, travel to the public space to enjoy a night of friends, food, and fun. This includes a picnic, lighting sparklers, and dancing. Philadelphia provides a magical cityscape backdrop for the event. Guests must be members or sponsored by a member and there is a long waiting list to get in! Participants arrive and depart by chartered transportation or organized public transportation. Every group has a table leader and the groups are responsible for bringing their own tables, chairs, and food. Guests must bring a table, chairs, white tablecloth, a picnic basket, food, cutlery, dishware, glassware, trash bags, and wine or champagne. At the end of the night, participants take everything with them, including their trash, leaving their city’s public space clean and beautiful for the next day. Participants must wear all white and be dressed elegantly. 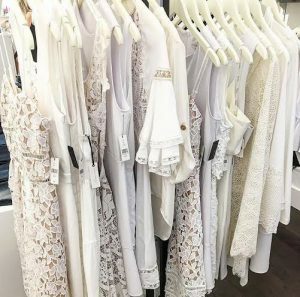 This year’s Diner en Blanc will take place on August 18th and since the event takes place during the summer, and the dress code is elegant, it is best if women wear white dresses. 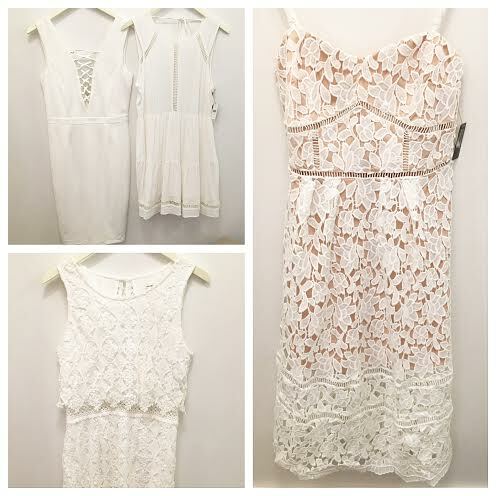 Our Rittenhouse boutique is filled with white dresses perfect for the event. 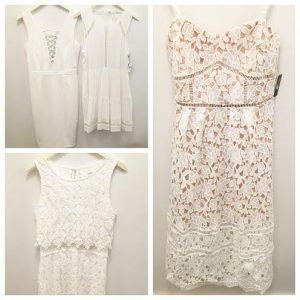 One of our stylists will happily help you choose the perfect outfit for such a magical evening.